GO BEARS! Growing Pains Can Be Fun!! 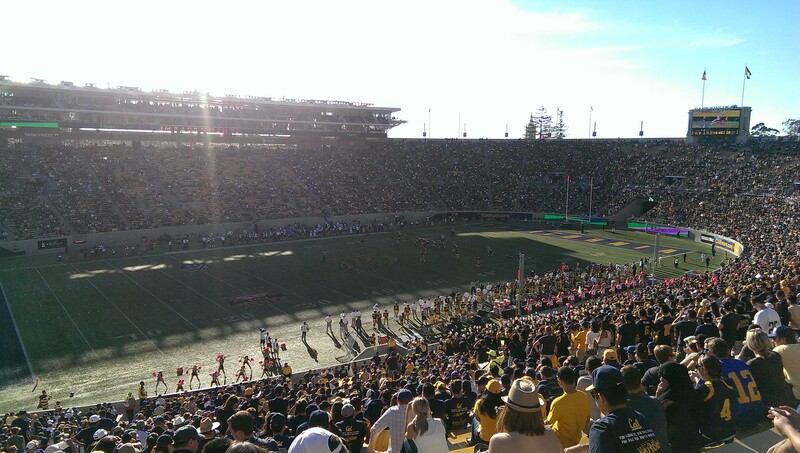 Cal lost to UDumb, sorry, UDub, on Saturday at Memorial, in Berkeley. I’d rather win but as we know this is going to be a learning experience for these young Bears. It’s a process so we’re going to get games like this. So a few day-after thoughts. My feelings are sort of like after the UoA game… rough loss, but tons of positives to take away for fans. We knew this was going to happen you guys. We knew at some point this season we were going to get a sort of clunker. So it happened. Walking up to the stadium I told some friends “You know, I think our defense is going to play really well today, I think we can blow them out…” OK the second part didn’t happen, but the first did. Really solid job by the defense. This is all new for these players. After the last 3 years, I can forgive them for maybe just getting a little heady. And now a great lesson. You’ve to work hard and keep at it. If you want to listen to some great interviews and immediately feel good about the mindset, attitude, fortitude and approach of this team, check out Jared Goff on youtube. When asked “Does this shake your confidence, he says “NEVER!. We know not to get complacent” That is exactly what you want to hear. Daniel Lasco says “It’s a lesson learner, we’re going to play even more tough next week! It’s just unacceptable as an offense. We got to watch the social side of it… there was a lot about scoring 50 points earlier in the week and people forget how hard it is… at the end we needed this.” I love that approach. One thing about the “social side” of it. As fans we’re supposed to have fun. I am a big believer in living in the moment and having fun with it but this is a new world so some of that stuff may just cross a line. It can seem harmless but these are basically kids and can buy into that stuff too easily. I’ll leave the Xs and Os to other people. Loss aside, what a great day at Memorial. After a few bad years in a row it takes a bit for fans to get back into. But almost 45K filled into Memorial yesterday and they were excited. There was a palpable buzz before the game… the houses around campus had bigger pregame parties… it felt good. Unfortunately with that first bummer fumble / 100 yard TD it made it sort of tough for the crowd but here is the REALLY COOL thing about having an offense that can score. Going into the 4th Q down by 21, almost NO ONE had left. And they didn’t really start leaving until just about the very end. HUGE HUGE HUGE THANKS to Beth Graham Yenser! I tell you I think Zach Yenser outkicked his coverage with her! She is awesome. Also, I really want you guys to know how much the Cal family is invested in this. Kate Golding Dykes is so cool, and she’s one of us. I know it’s easy to say when her husband is the coach, but she has really become a part of the Cal community. You know what I love about Cal football (and life) is I can be having a bad week and then I go to a game and see all my old friends and meet new friends like Christian Eric Dean. And be inside beautiful Memorial Stadium and see the Campanile at Sunset and it reminds me how lucky we’ve got it. GET YOUR OWN DAMN FIGHT SONG!!! !